Home Politics Ekiti: Thugs go on rampage as Kayode Fayemi's first campaign fails. 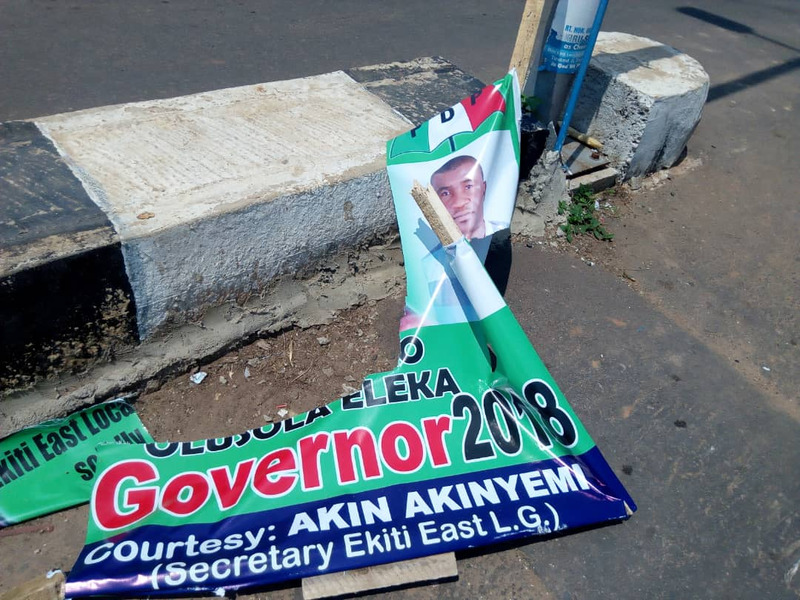 Ekiti: Thugs go on rampage as Kayode Fayemi's first campaign fails. 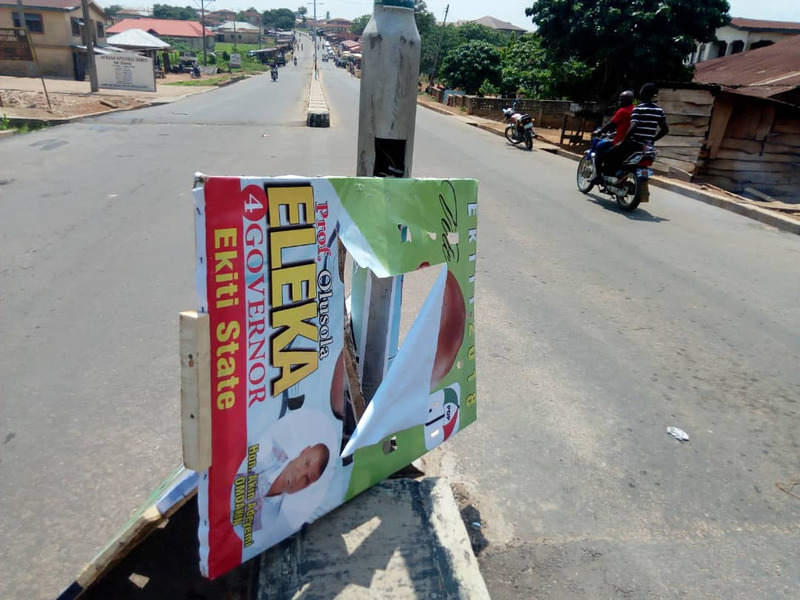 Thugs in Ekiti state went on rampage as Kayode Fayemi's first campaign fails at Ekiti East Local Government on Monday, 11th June. According to source, the strong reason behind this failure was the refusal of the Kabiyesi Olomuo of Omuo Ekiti to receive him at his palace. 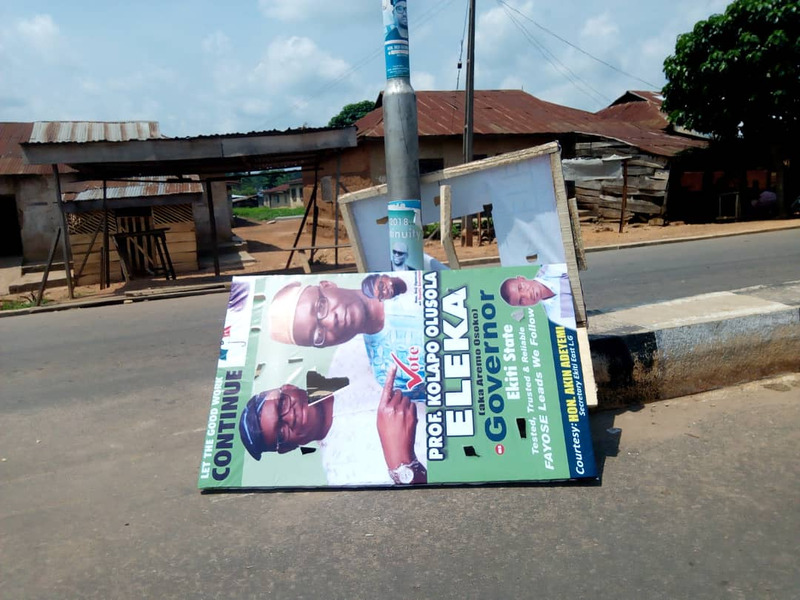 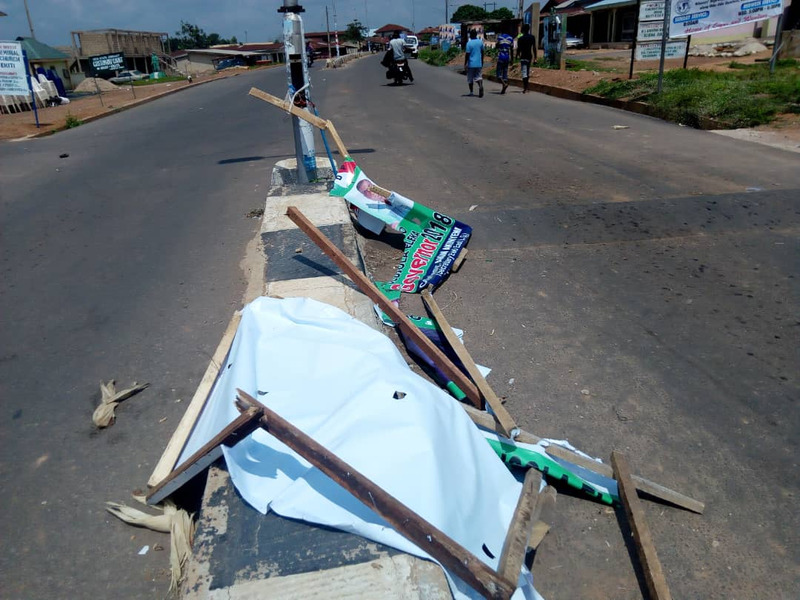 Fayemi's thugs allegedly went on rampage, destroying PDP campaign billboards.